Dodging the Bullet: Riding a Sugar High From Tri Sigma’s Cupcake Wars | The Gettysburgian. In today’s world, there are few things that everyone (or almost everyone) can agree upon liking. Cupcakes are definitely one of those few, which was why when I heard that Tri Sigma was having Cupcake Wars and the entrance free was just $6, I couldn’t pass up such a tasty opportunity. 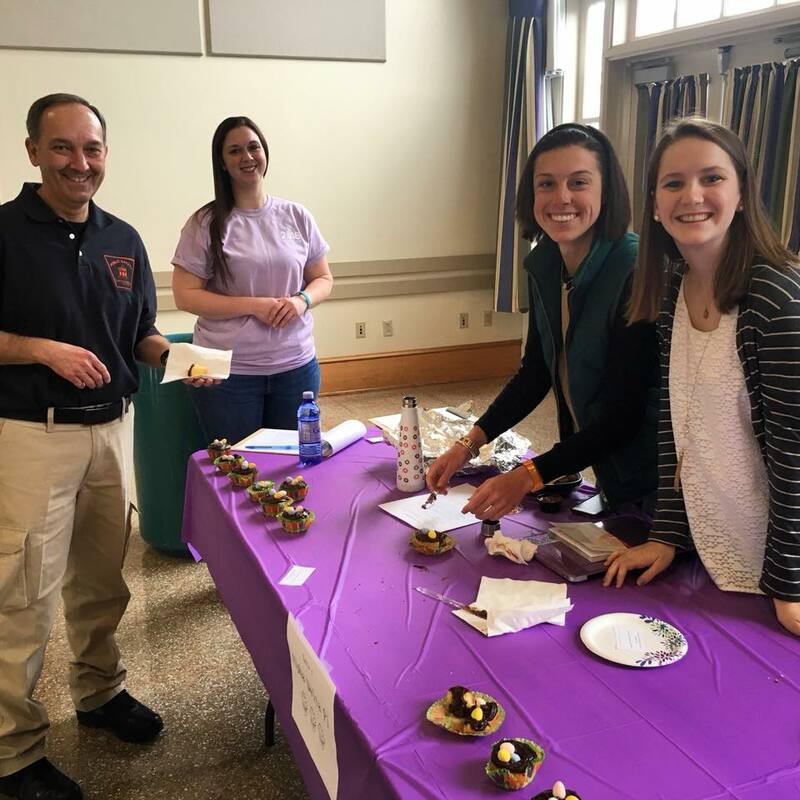 Clubs and groups from every part of campus signed up ahead of time in teams, made cupcakes, and submitted their treats to be tried and judged by Gettysburg’s student body. The event took place in the CUB ballroom from 11:30 a.m. until 1:00 p.m. today, and included around 30 teams all with different cupcakes to taste. At the end of the day, the team with the most votes from the judges wins. I think I tried just about every cupcake there was, which may or may not have been the best idea immediately prior to lunch time. I just couldn’t help myself; they all looked and tasted amazing! That being said, my personal favorite had to be the red velvet cupcake with cream cheese frosting that SAI, the music fraternity, made. They were simple, but yet purely delicious. Cupcakes, friends, and a good time all in support of a good cause, March of Dimes and the Tri Sigma Foundation…what more could you ask for? I had such a blast at Tri Sigma’s Cupcakes Wars, and to anyone who did not go today, I highly recommend attending next year!